The fascinating story of the intersemiotic growth of translation into the whirlpool of excitement in transduction. The conflict between the simultaneous attractions of language-based translation and not-only-language-based transductions in different arts shows the way that the relatively coded phenomenon of translation can transfigure into Peirce’s free and uncoded activity of transduction. The real question of intersemiosis is still unanswered. Imagine the delicious surprises at the heart of the narrative examples: Henry Thoreau’s sympathy with American and Indian ecology of Walden, Edvard Grieg’s musical operetta Peer Gynt based on Henrik Ibsen’s poetic script, and Salvador Dalí’s sculptural transfiguration of Venus of Milo with his Venus with Drawers. 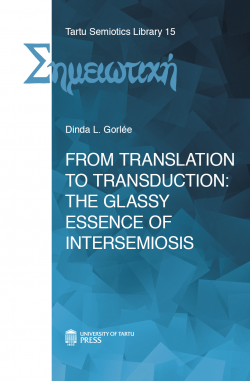 Dinda L. Gorlée is a semiotician and multilingual translation theoretician, with interests in the philosophy of language, comparative law, and cultural theory. With a dual Ph.D. in semiotics and translation theory from the University of Amsterdam, she has worked academically in a decade of countries around the world. Her last academic function was a visiting professorate at the University of Helsinki. Gorlée is widely published internationally and is writing a book about Wittgenstein as semiotician.